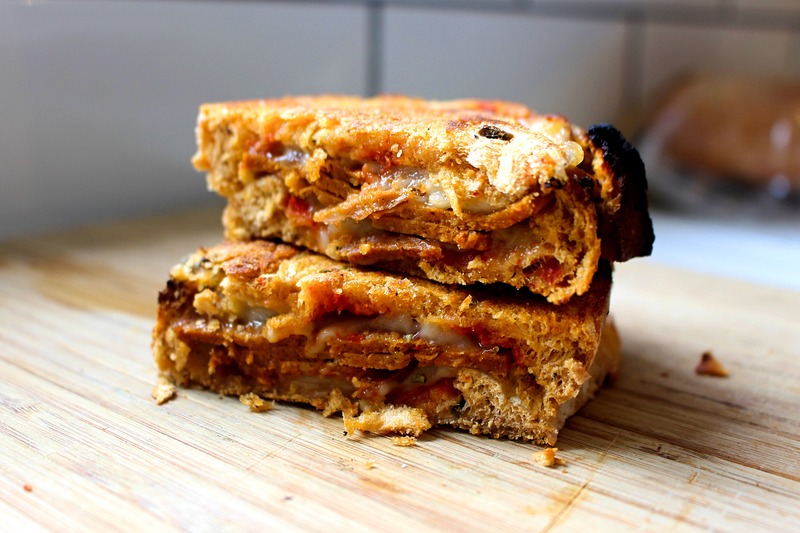 Melted pepper jack cheese, vegan pepperoni slices & tomato puree in rustic Mediterranean bread! So my boyfriend and I recently visited Tulum in Mexico, and Ambergris Caye Island in Belize. The food was incredible, they had plenty of vegan options for me, or food on the menu that could often be veganised by taking away certain ingredients like cheese or butter. While the food I had was really tasty, naturally, I had some food envy as my non-vegan boyfriend had a huge choice of foods. 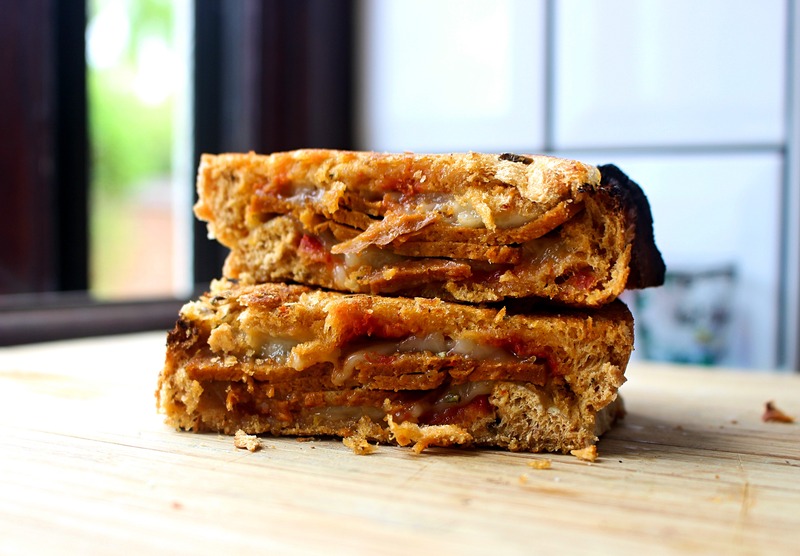 One lunch I was MEGA jealous about was a pizza melt he had from a restaurant on the beach in Belize which specialised in cheese toasties – aptly named ‘MELT’. I HAD TO VEGANISE IT. I used Follow Your Heart’s Pepper Jack Cheese which is my absolute favourite – it has little pieces of jalapeno peppers in it to give it a real kick, and it melts!!! Give it a go and let me know how you get on!!! You won’t regret it! 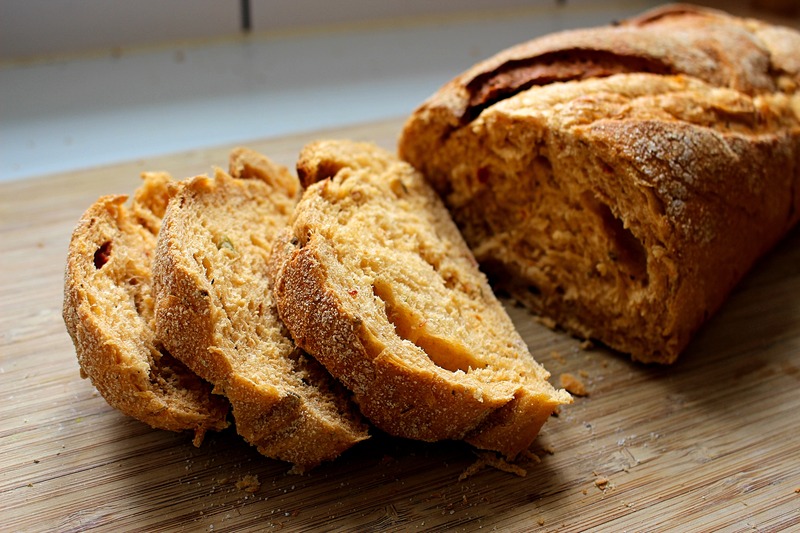 Lightly butter your bread slices on one side only, then spread your tomato puree on top with a sprinkle of oregano. Put your slices of vegan cheese on top of the tomato puree and pop them under the grill to melt for approx 5 minutes. Once the cheese has melted, you can take them out from under the grill and put your pepperoni slices on top of the cheese on two slices. Pop the other slices of bread on top to form a sandwich. Fry them in your pan with a tbsp of olive oil, on a low-medium heat for approx 5 minutes until golden brown on each side. Turn them over occasionally to check the other side.